On January 26th, Bellator MMA will provide fans of the sport with another slice of history, as the great Fedor Emelianenko faces off against Ryan Bader in the finals of the Bellator Heavyweight Grand Prix, with the vacant Bellator Heavyweight title on the line. It’s a cool-sounding fight for sure, but despite this, most MMA fans would probably admit that had the decision been up to them, ‘The Last Emperor’ would’ve signed with the UFC rather than Bellator in 2017. 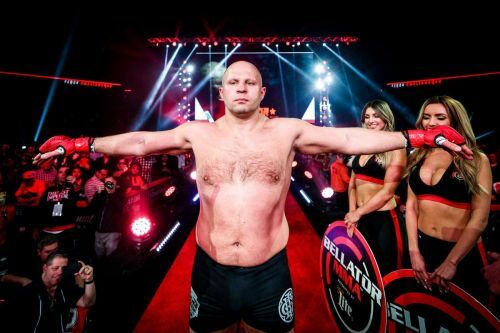 MMA fans have dreamed about Fedor stepping into the Octagon ever since the PRIDE buyout over a decade ago, and despite time having moved on, leaving Fedor past his prime, there’d still be plenty of intriguing fights for him in the world’s biggest MMA promotion. Here are 5 dream matches that Fedor Emelianenko could have in the UFC. 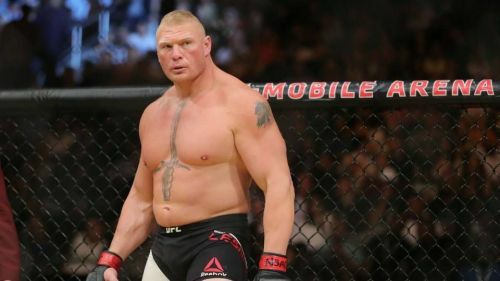 Okay, so current WWE Universal champion Brock Lesnar’s status with the UFC is currently up in the air; the former UFC Heavyweight champion is rumoured to be returning to face Daniel Cormier for the title he once held at some point in 2019, but nothing has been made official yet, and with a new WWE contract supposedly inked, nobody is really sure whether he’ll return or not. Despite this, Lesnar would still be a dream match in terms of fighting Fedor – even if he were to lose to Cormier. That’s largely because of the controversy of 2009, when it looked like the Russian legend would sign with the UFC to face Lesnar for the Heavyweight title, only for Fedor to u-turn and sign with StrikeForce instead. The whole MMA community was salivating over the fight back then, and it’s a given that everyone would still love to see it today. What’s more, both men are arguably past their primes today; Fedor has won his last two fights but clearly isn’t the same fighter as he was in his PRIDE heyday, while Lesnar has fought just once since his 2011 retirement, a 2016 win over Mark Hunt. That means the fight would likely be contested on a largely even playing field – assuming Lesnar would be free of PEDs – and so it’d still be a ton of fun to watch despite coming a decade too late.